I love that I can bring my dog with me fly-in camping. When I first decided to get a dog, my biggest worry was that he wouldn't enjoy flying. However, once I got Maverick at 8 weeks old, I could just tell that he was dreaming of being my co-pilot. 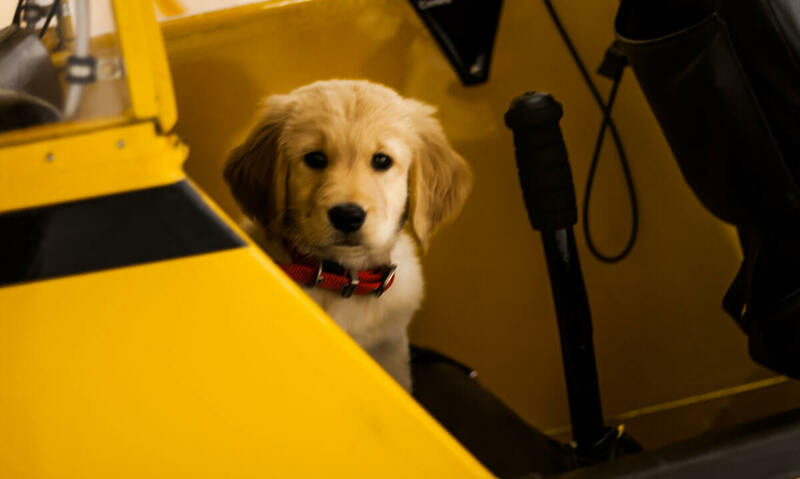 At 9 weeks I started slowly introducing him to the plane by having him sit in it while it was in the hangar. 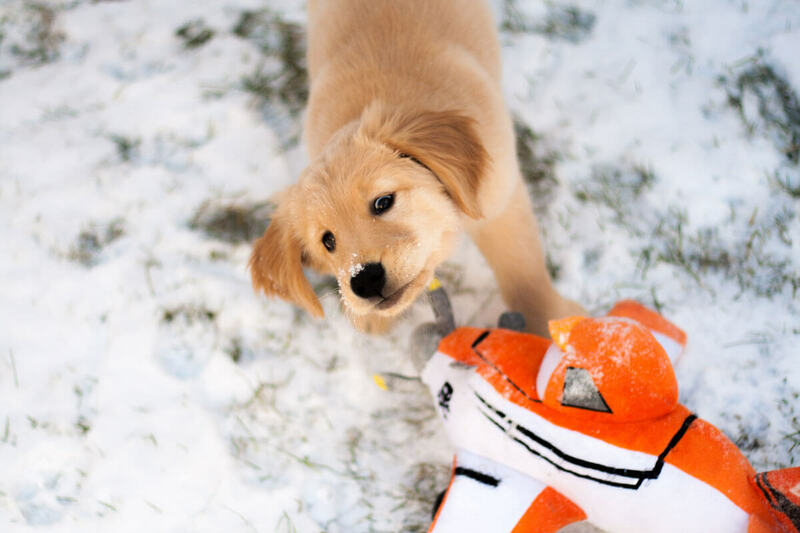 At 10 weeks I took him up flying, and he's been hooked ever since. Now at the age of 4 hes got several hundred hours and has become an invaluable resource working the radios. He always wears his Mutt Muffs in the plane to protect his ears. I figured that if I am protecting my ears then I should also protect his, especially since his are much more sensitive to sound than mine. He absolutely loves flying and it's pretty common for him to stick his head out the window at 3000 feet as we make our way up north. I'm sure a part of why he loves flying is that he knows that when he gets in the plane, our destination usually has water! 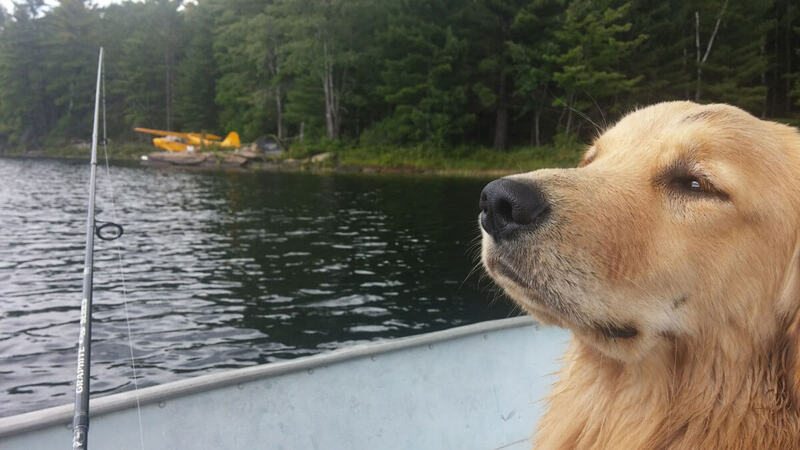 For Maverick, the plane means camping, and there is nothing that he enjoys more. I have read tons of blog posts about tips on bringing your dog camping, and they all leave me rather unsatisfied. Yes, I know I'm supposed to bring my dog a water bowl, and I know I should bring food. Okay, on this particular trip, I happened to forget dog food, but that's beside the point. I don't think the important tips for bringing your dog camping are to bring food, poop bags, an LED collar, leash, stake, and the dog's documents from the vet. Is the dog going camping or crossing the border? Most of these are items I need to remember to bring with me when I leave the house with my dog, and aren't specific to camping. 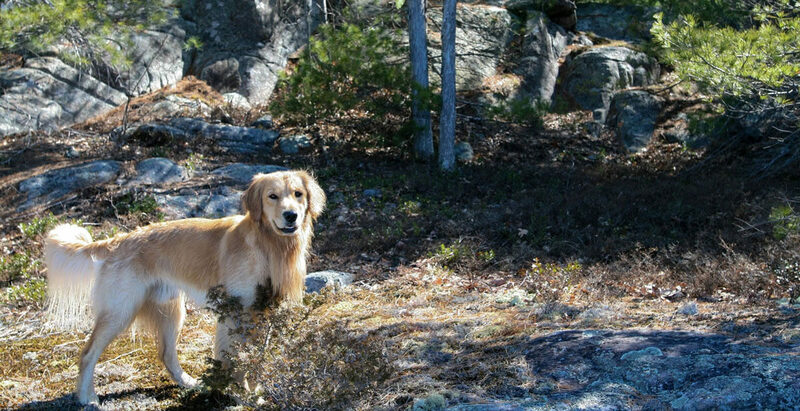 I only have 3 important tips for bringing your dog camping, all of which assume that you have left the house with your dog before and have taken care of the necessities. 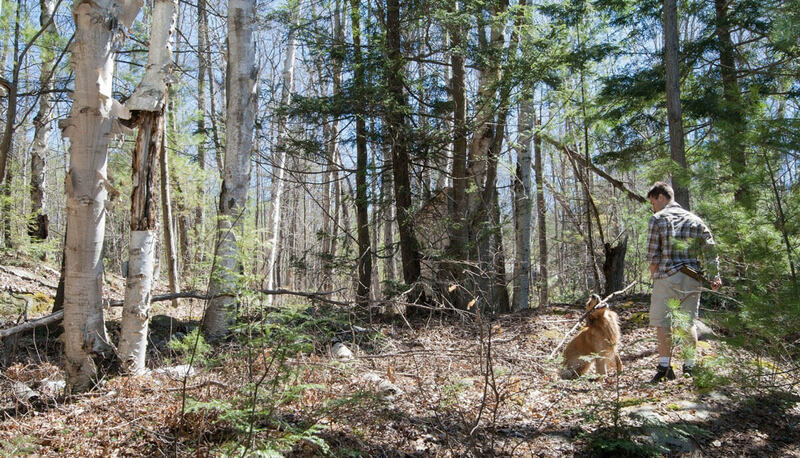 These tips come from decades of camping trips in the very remote northern woods with dogs. Tip #1: Always dry your dog before going to bed. Why is this important? Hot spots. 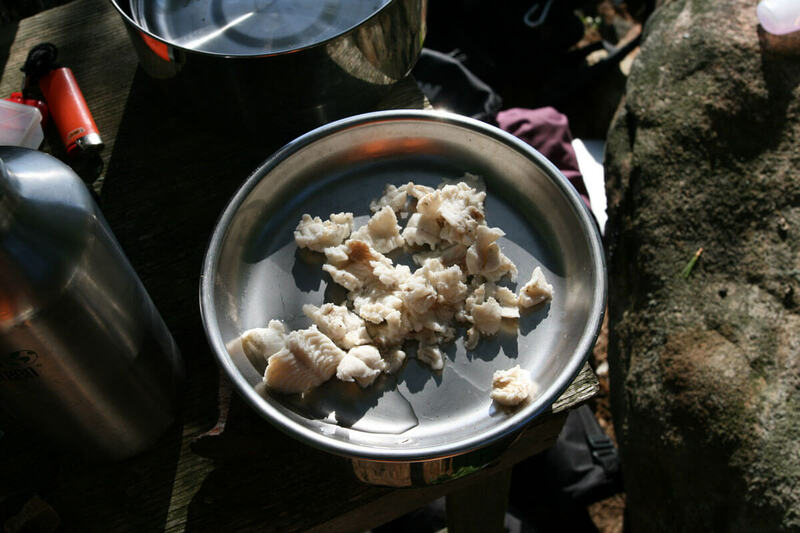 These are photos of Maverick's hotspots after a camping/fishing trip. You can search images online for much more severe cases (be warned - it's gross). Hot spots occur when moisture is trapped in a dog's fur against their skin. Bacteria builds up and these skin irritations grow extremely rapidly from the spread of that bacteria. How can it be prevented? Simply dry your dog before going to bed. Be sure to get those hard to dry spots, like behind his ears and behind/under his hind legs. It's very easy to prevent hot spots if you just put in the extra time to ensure your dog is dry. The harder part is to actually keep your dog out of the water for the rest of the night after they have been dried! Maverick is wet from sun up to sun down. Keep your dog dry is definitely one of the most difficult things about bringing them camping. If your dog doesn't swim, then it's much easier. But if he does, then I hope you like the smell of wet dog! 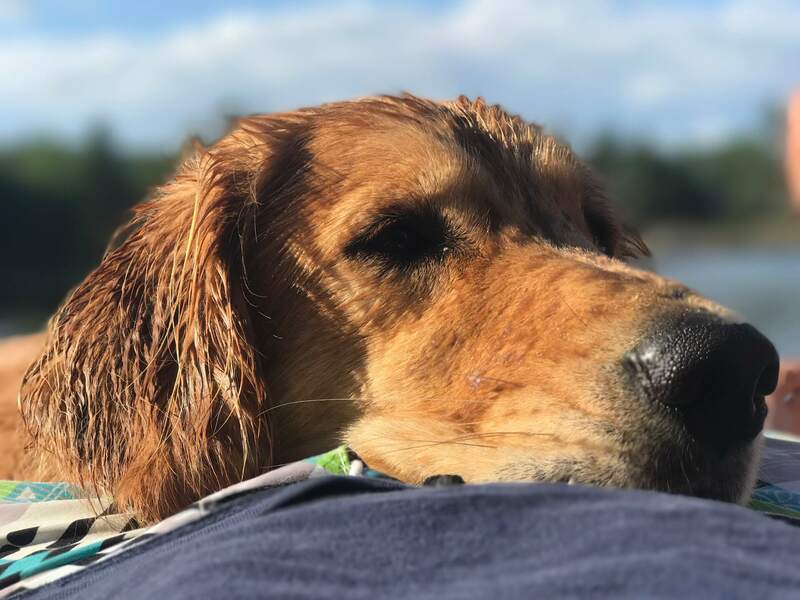 I love the fact that Maverick swims and enjoys himself so much while camping. I don't mind putting in the extra effort to keep him healthy. Before I get into the next tip, I should probably address the fact that I forgot to bring my dog food while camping for three days. I am extremely strict about what my dog eats and I never feed him food from the table or human food (other than cheese, of course). So I was in a pickle. At home I feed him grain free fish kibble, on the other hand, I was right beside a lake, presumably full of fish. Additionally, one of the reasons I found this camping spot was because I noticed a boat from the air and landed to investigate. I had also brought my little 1.2hp two stroke motor from the 80s. So I strapped on the motor to the boat and Maverick and I were off to catch him some dinner. Tip #2: Check your dogs for ticks once a day. Why is this important? Lyme disease. Again, this is a photo of a tick that was on Maverick for at least 48 hours. Pretty gross, I know. Ticks are a serious issue because they are carriers of Lyme Disease. When they are engorged like this there is a chance of transmission to your dog, and you need to go to your vet to get checked out six weeks after the bite. How do you check for ticks? You just feel everywhere on your dog to make sure there's no bugs crawling around, and if you feel a bump or something unusual on them or in their fur, check it out thoroughly. I was playing with this tick for a few minutes because I thought it was a mat in his hair. 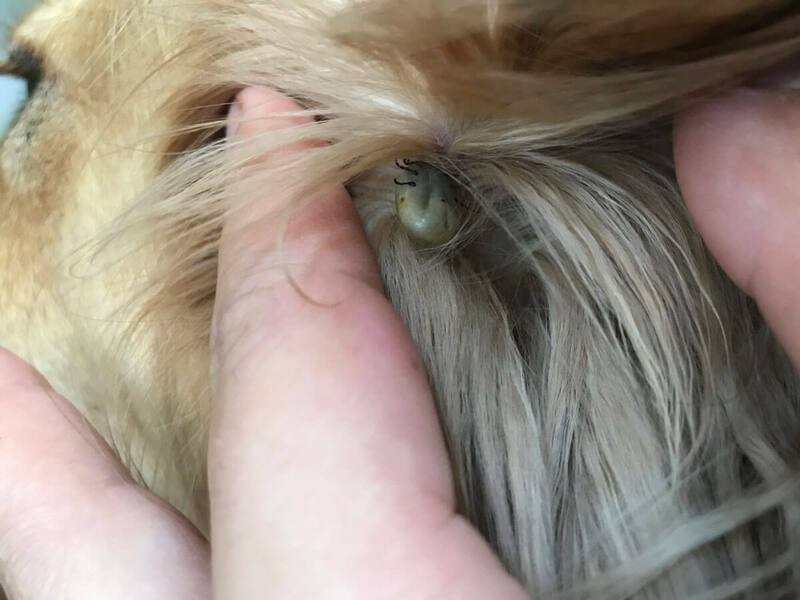 When I was back in the city I was trying to unmat his hair while watching TV, then I took a closer look and realized I was massaging a tick, which is the WORST thing you can do as it promotes them spewing back into your dog, which could transfer Lyme Disease if the tick is a carrier. In the mean time, Maverick and I were successful in catching his dinner. He was quite pleased with himself and excited about the meal. I filleted the fish and then boiled it in water for him. This is the healthiest way to cook it and the only way I'd ever feed fish to my dog. 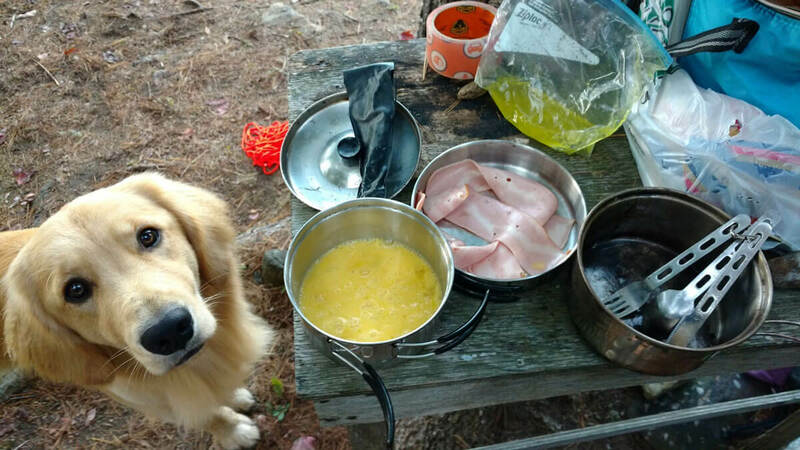 I think it was probably one of his favourite camping meals. 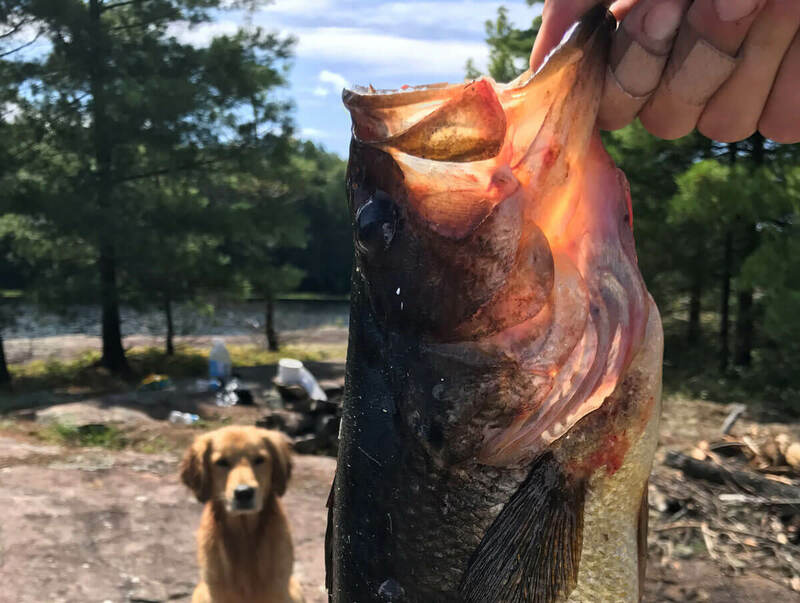 We had to fish every day to catch Maverick's meals. One of the days I selfishly made breakfast before heading out on the water to catch Maverick's breakfast. He made me feel extremely guilty with those big soft puppy eyes. Tip #3: Don't be stressed, just enjoy the companionship of your special friend and have fun! 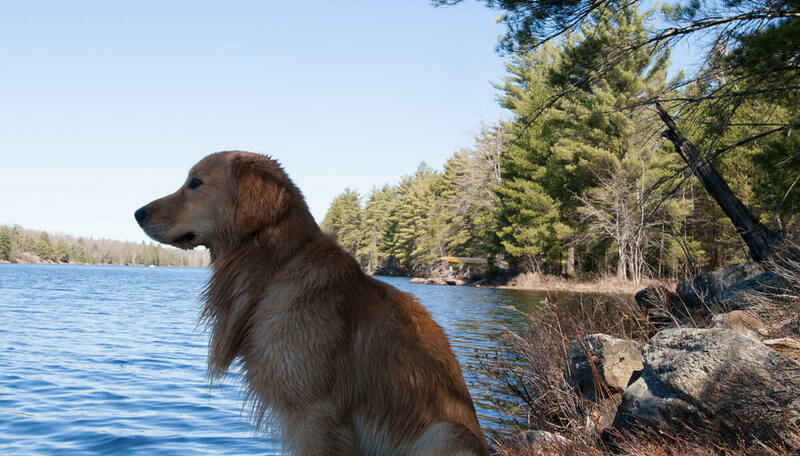 There's so much out here on what you need to do to prepare your dog for camping and what to bring, what not to bring, etc. Just use common sense, don't stress out about, and let your dog enjoy the outdoors. The most important thing that you need to be aware of are those common health risks that typically come with spending time in the backcountry. 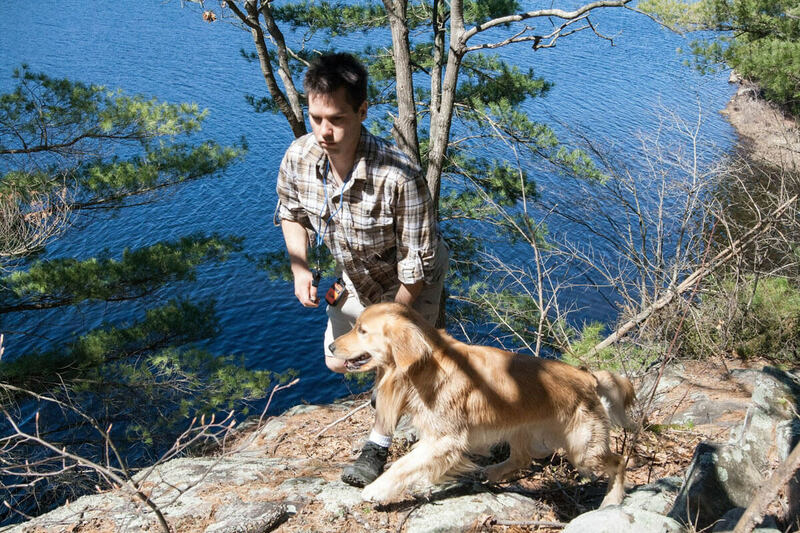 In my experience, some of the most common and easiest to prevent are hot spots and ticks. 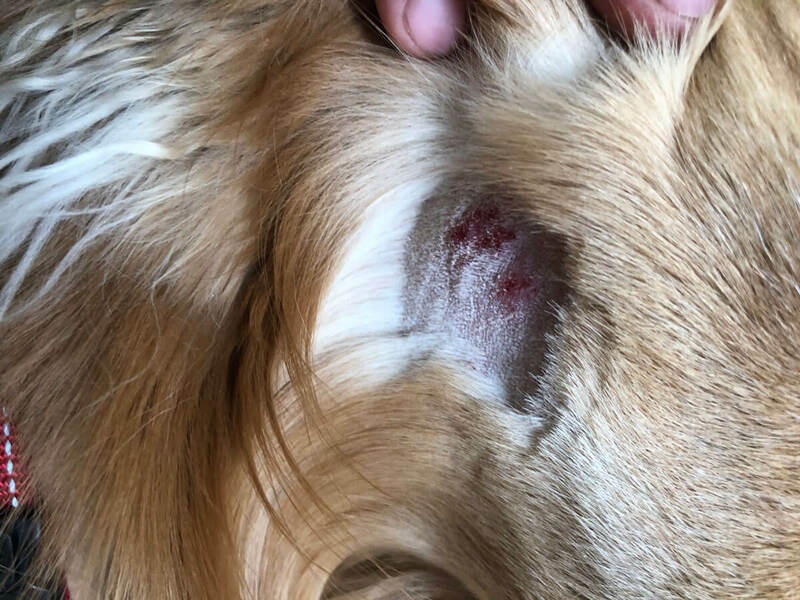 Sure, there are other risks like snake bites, but they are much rarer, and save from you stressing out watching every step your dog takes, there's not much you can do about it except know what to do once it happens. 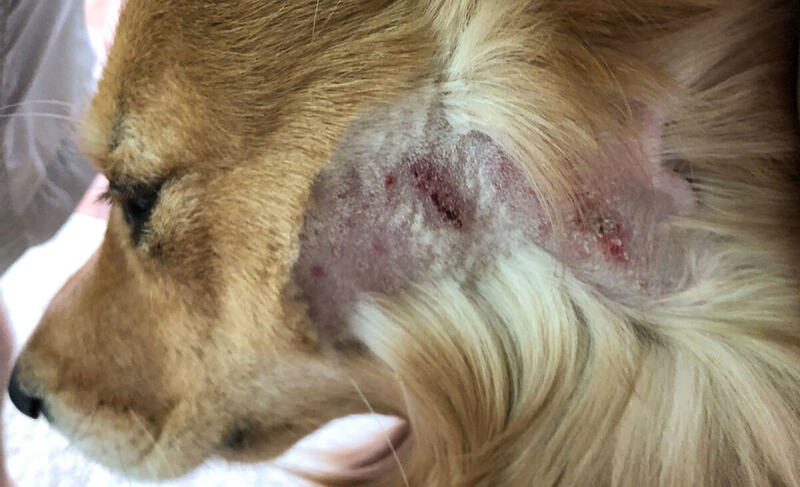 Hot spots and ticks are so common and with as little as 10 minutes a day you can protect your dog from these health issues that can escalate extremely quickly. 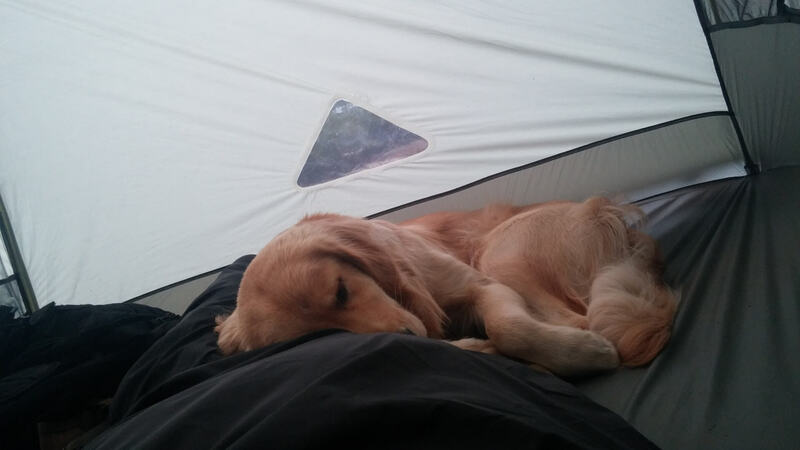 Finally, the hottest topic of bringing your dog camping: where is he going to sleep? Stop worrying about it so much. You don't need to bring a dog bed or mattress for your dog. You don't need to do anything. Throw a towel down in one corner and let the dog choose where he wants to sleep. This can even be the same towel you used to dry your dog! They are going to move around all night anyways as their body temperature changes, the same as they do at home. When Maverick is hot he will lie on the tent floor because it's cooler, and when he's a bit cooler he will keep himself warm by cuddling with me. Let them be dogs and stop stressing about it! 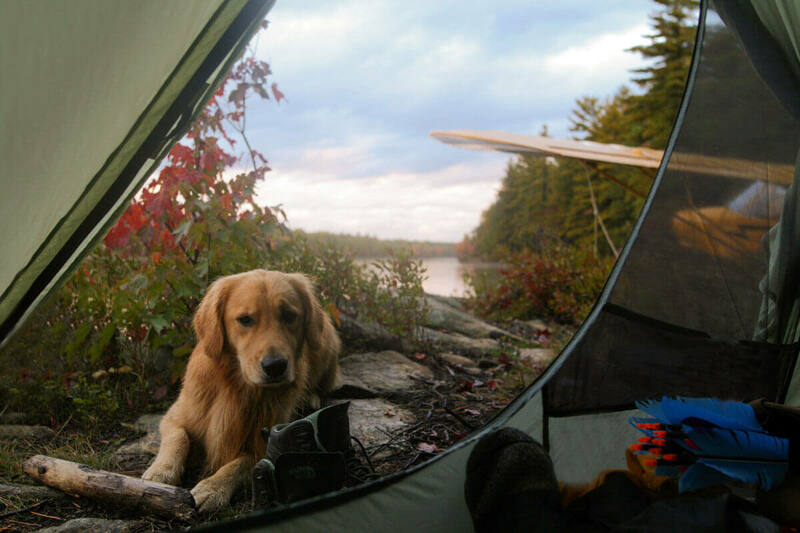 Dogs are the best companions on camping trips as they absolutely love the outdoors! Best of all, at the end of the day, they just love spending time with you. Director of Engineering @ Microsoft Research, bush pilot and solo adventurer. I spend my free time exploring the remote northern woods of Canada by floatplane. Enter your email address to suscribe to this blog and receive notifications of new posts by email.